Experienced renewable energy professionals install high-performance, code-compliant systems, and will offer you service and support after the sale. As with any home improvement project, request references and certifications, and compare bids before you buy. For more information or to get your business listed in Home Power's Installers Directory, e-mail [email protected]. C & R Solar Quality design, sales and installations of solar/wind power systems to meet your application. Serving northwest Arizona since 1989 for remote homes and grid tied systems. Living off grid since 1980. 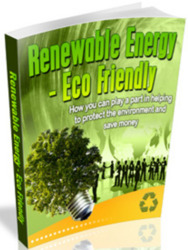 We achieve customer satisfaction with over 25 years of experience in renewable energy. ROC135882. 928-757-7059. EV Solar Products, Inc. Licensed solar professionals since 1991. We design and install solar electric and hot water systems for grid-tie and remote homes. Visit our retail showroom just north of Prescott at 2655 N US Hwy 89. Chino Valley, AZ 86323 ROC Licenses: 129793/118299. 928-636-2201. Sunlight Solar designs and installs turn-key commercial and residential solar electric systems for your convenience. ■We are a certified installer under Connecticut, Massachusetts, "New York and Rhode Island solar programs, and we're the proud recipient of SunPower's Intelegant Award in 2008! Call (203) 878-9123 or visit www.SunlightSolar.com to schedule a FREE site survey! CMI Electric Inc. Professional design, installation, service and sales of high quality solar electric and solar hot water systems in the tri-state area since 1998. NABCEP certified installer on staff, Master Licensed Electricians in DE, PA & MD. Turn-key renewable and conservations solutions, we also sell your REC's! www.cmielectric.com (302) 731-5556. Oasis Montana Inc. designs and sells renewable energy power systems in North America and also offers efficient and , n . - LP gas appliances. Call to discuss your project. 877-627-4768 ¿JHEvlÎLiJi. or 4778. Web sites: www.oasismontana.com, www.grid-tie. 310 Solar, LLC. New Mexico's premier, award winning solar provider. A full service comprehensive sales and installation contractor, supplying leading edge solar technology in photovoltaic and thermal heating to commercial and residential customers. Fully licensed and certified, MM, GB, EE. References provided. Contact us @ (505)-822-9200 or visit www.310solar.com. Solar-Fit is one of Florida's oldest active solar contractors. Established in 1975, International Sun Protection, Inc. (dba Solar-Fit), has helped over 8,000 families and businesses 1 J" "Plug into the Sun". Call (386) 441-2299 for FREE information on solar electric, solar pool and solar hot water systems, and solar attic fans, or visit us on the web at www.solar-fit.com State Certified Solar Contractor #CVC56690. — to view our farm/business powered by a 10kw wind turbine and 12kw of solar panels. Put your trust in us, you will not be disappointed. Ph. 217-864-2525. Alternative Energy Concepts, Inc is a professional full service design ancTinstallation company. With a focus on PV, solar hot water heaters and small wind turbines, we strive to maximize our customer's investment and maintain their enthusiasm by providing quality, care and fair pricing. Financing available. www.alternativeenergync.com or call 910-423-7283, fax 910-485-4879.
premier solar and wind power contractor. 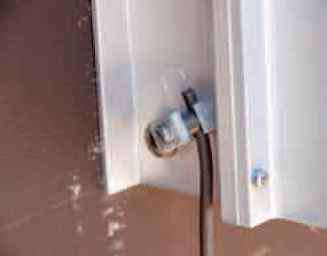 Complete design and installation of utility tied or off-grid systems for OH and surrounding states. Serving commercial and residential customers. NABCEP Certified PV Installer committed to excellent customer service & the highest quality systems. www.third-sun.com 740 597-3111. Belmont Solar A full service licensed solar contractor specializing in PV and solar hot water. Complete design and installation services. Located in Lancaster County PA. Servicing bftwonf ' PA, MD, DE & NJ. Visit: www.belmontsolar.com call: 717-768-Where quality workmanship comes standard. LightWave Solar Electric, LLC provides design, consultation, and turnkey installation of solar electric systems throughout TN and southern KY. With NABCEP-certified installers on staff, LightWave is a leading PV installer in the area. LightWave guarantees quality installations of sustainable, renewable, PV systems. Visit us at www.lightwavesolarelectric. com or call (615) 641-4050. SunPower Energy Casper, WY. Design, installation & service to comply with regulatory requirements. Grid-tied and off-grid systems. Solar electric and hot water, wind turbines. Authorized dealer for Suntech& Sanyo panels, Fronius, OutBack & SMA inverters, Surrette batteries, Skystream wind turbines. Skystream Servicing dealer. 307262-4647 (ph); 307-235-2525 (fax); [email protected]. Our readers continue to look to Home Power for referrals to RE installation professionals in their area. For more information or to get your business listed in HP's installers directory, e-mail [email protected].